6 Wins over 1200-1600m. Won Ladies Mile (Listed). 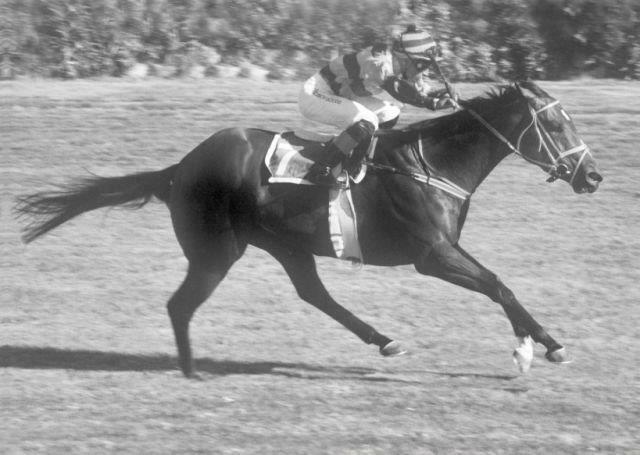 Placed 2nd Gr2 Gosforth Park Fillies Guineas, 2nd Swazi Howe Memorial Hcp (Listed), 3rd Gr2 SA Fillies Guineas. 6 Wins, five of them in a row. 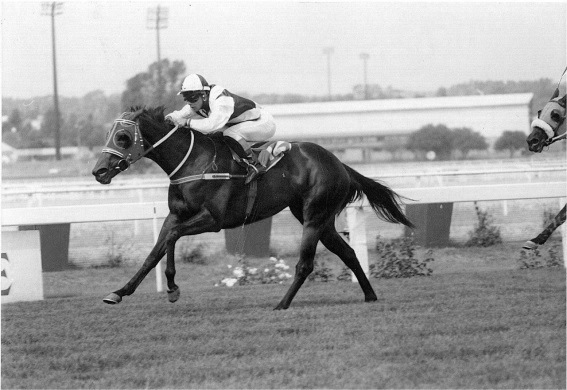 Related to ARCSA Champion Stayer Milleverof. 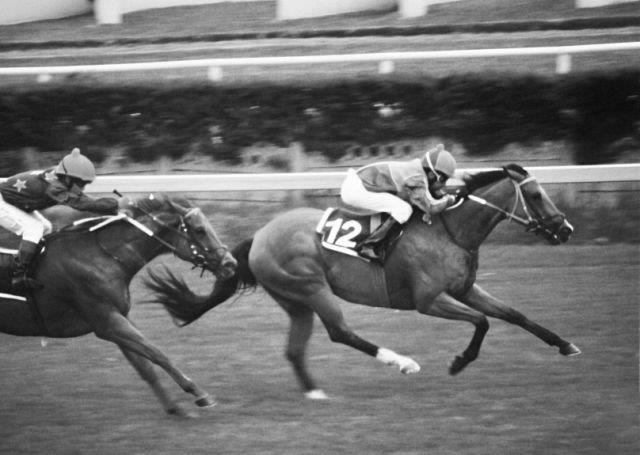 5 Wins at 3 to 4, 1000 – 1600m, inc. Ladies Mile (Listed). 7 Wins, in SA, UK, USA & UAE 1000-2100m. 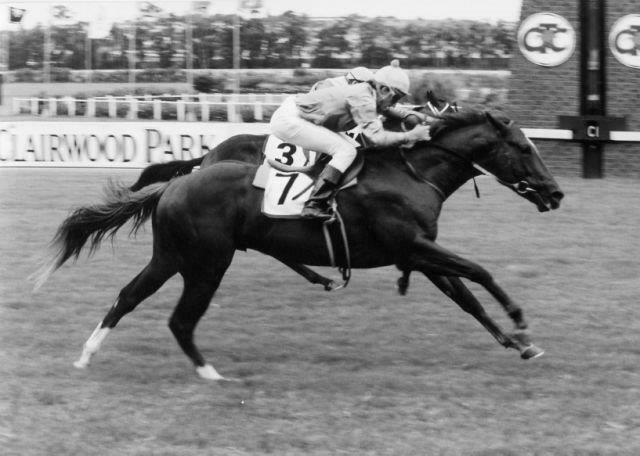 Won the Gr.1 Paddock Stakes in course record time for 1800m at Kenilworth; won the Gr1 Beverly D Stakes at Arlington Park, Chicago; won Gr3 Middleton Stakes in England. Won in Dubai, breaking Ipi Tombi’s record over the Dubai Duty Free Gr.1 distance of 1777m at Nad Al Sheba. 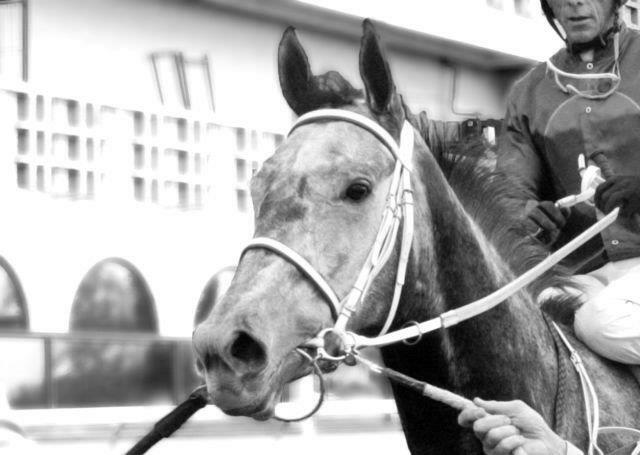 Earned fourth highest rating for fillies in 2004 worldwide. First SA-bred filly to win Gr1 in USA. Broodmare at Sheikh Mohammed’s Darley Stud in USA. She has a 2013 yearling colt by Lonhro, and visits Elusive Quality in 2014. 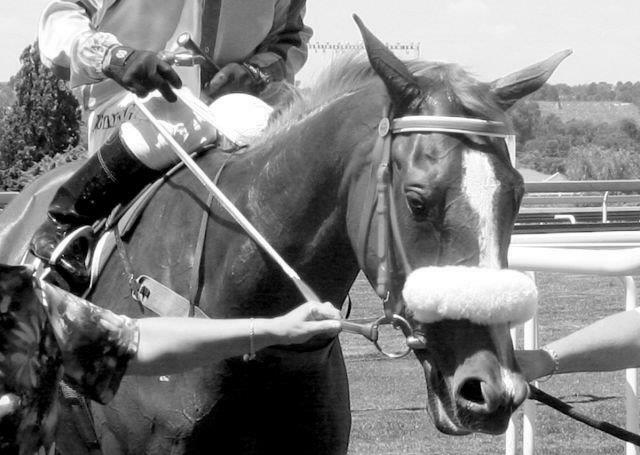 6 Wins (4 wins in South Africa and 2 wins in Mauritius) over 1000 – 1365m. 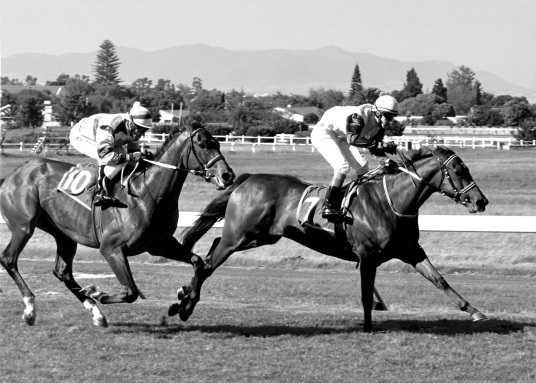 Won Gr3 Egoli Sprint, placed 2nd Gr3 Morris Lipschitz Juvenile Plate, 3rd Gr1 SA Nursery. 5 Wins & R2,2 million. Won Gr1 Summer Cup, won Gr2 Colorado King Stakes and won Gr3 Yellowwood Handicap. 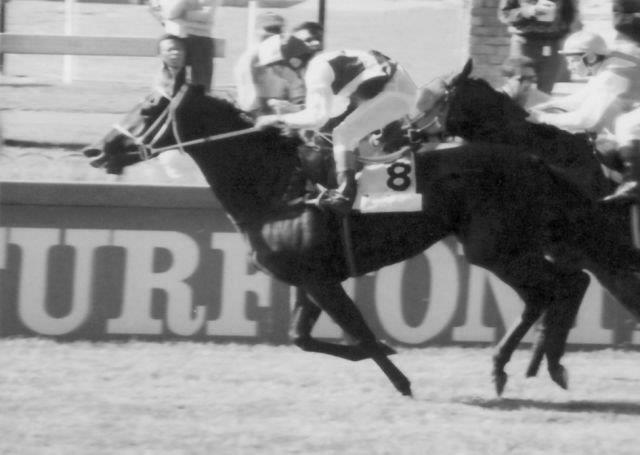 Placed 8 times, inc. 2nd Gr1 Paddock Stakes, 2nd Gr3 Jacaranda Handicap., 3rd Gr1 Empress Club Stakes, 3rd Gr1 President’s Champions Challenge and 3rd in Gr2 Gold Circle Oaks. 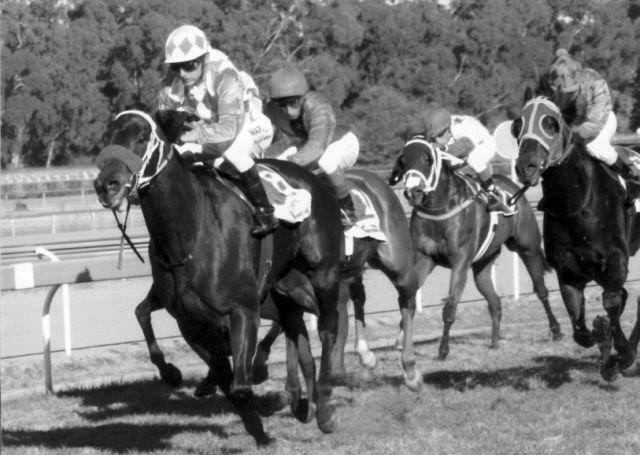 5 Wins over, 1000 – 1300m, inc. Milkwood Stud Stakes (Listed). 6 Wins over 1200 – 1400m. Won Gr3 TR Lewis Juvenile Fillies Plate. 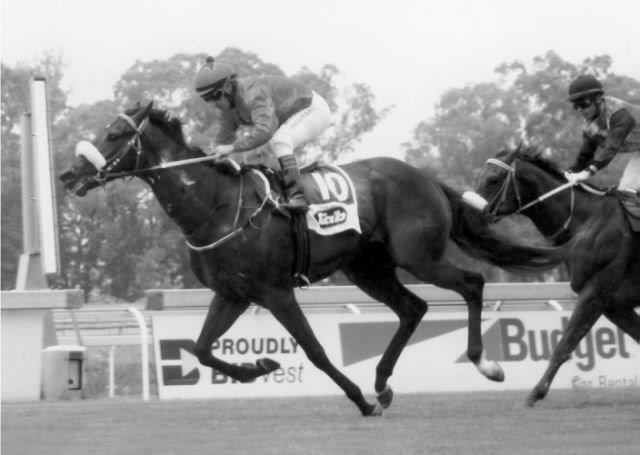 Placed 7 times, inc. 2nd Gr2 Golden Slipper, 2nd Gr2 Juvenile Fillies Classic, 3rd Gr3 Graham Beck Handicap. 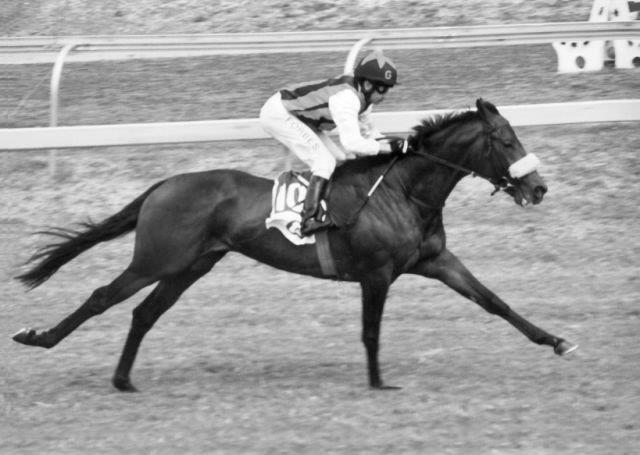 (Nominee for Cape bred 3YO filly of her year). 2 Wins, inc. Gr3 Strelitzia Stakes. (Nominee for Cape bred 2YO filly of her year). 5 Wins, over 1400 – 2450. 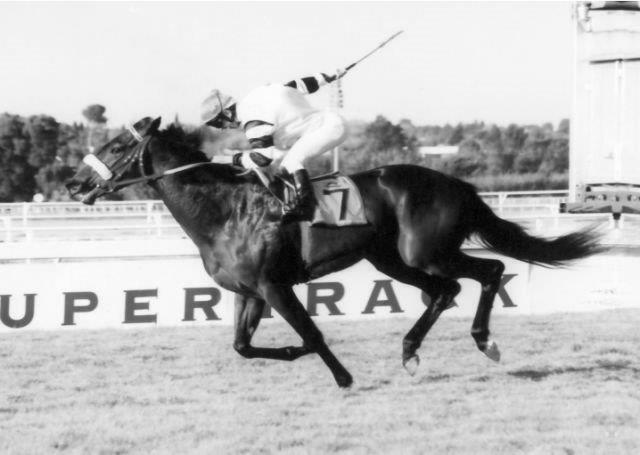 Won Gr2 SA Oaks, won Gr3 SA Oaks Trial, won Maurice Passmore Hcp (Listed). 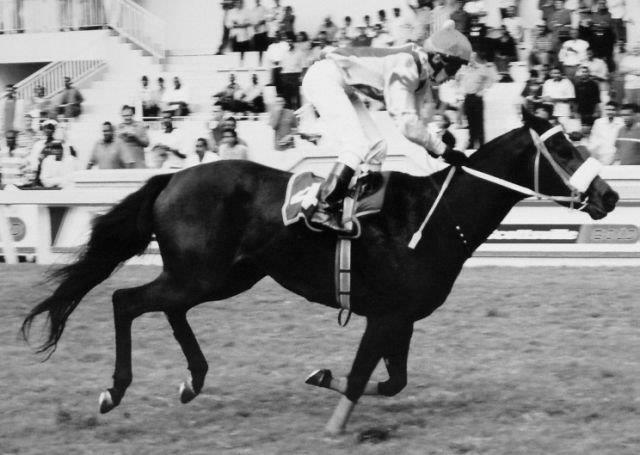 Highveld Champion 3YO filly for 1993. 6 Wins over 1000 – 1400m. Placed. 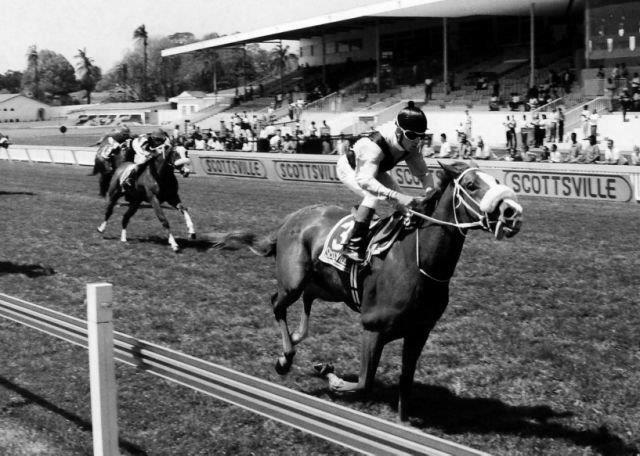 2nd Gr2 SA Nursery Plate; 2nd in three Listed Races: Jhb Merchants Handicap., Festive Season Sprint and Joseph Dorfman Memorial Futurity Handicap. 7 Wins over 1400 – 1800m. 4 Wins over 1400 – 1600m. Placed 7 times inc. 2nd St Andrews Paddock Stakes (Listed). 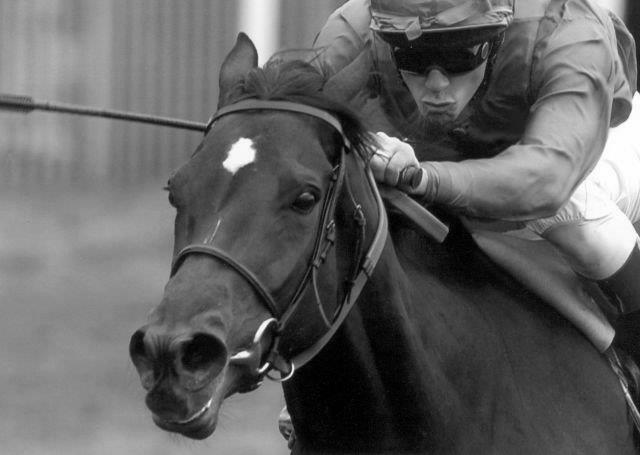 The 2006 Equus Champion Horse of the Year and Equus Champion 3YO female sprinter. 8 Wins over 1000 – 1200m. 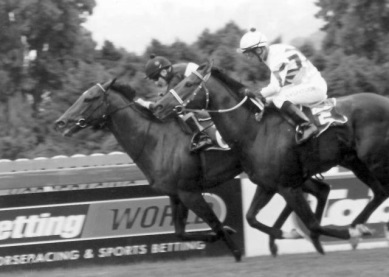 Won Gr1 Mercury Sprint, won Gr1 Computaform Sprint and won Gr1 South African Fillies Sprint, all in one year. 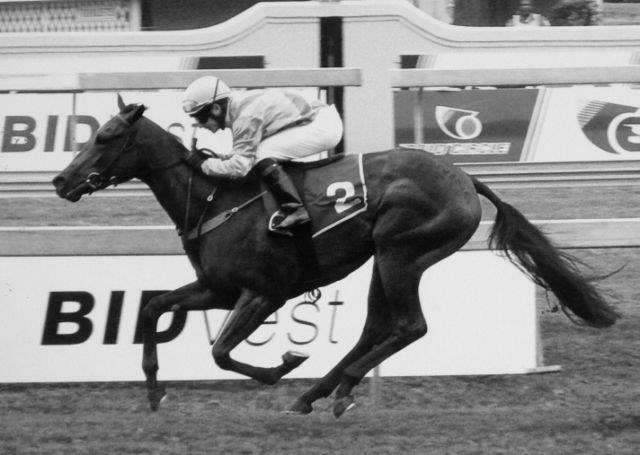 Placed 2nd Gr1 Nunthorpe Stakes in England. Won the Friday Sprint, Nad Al Sheba in Dubai. 9 Wins. Placed 3rd Gr2 Defy Merchants. 7 Wins. 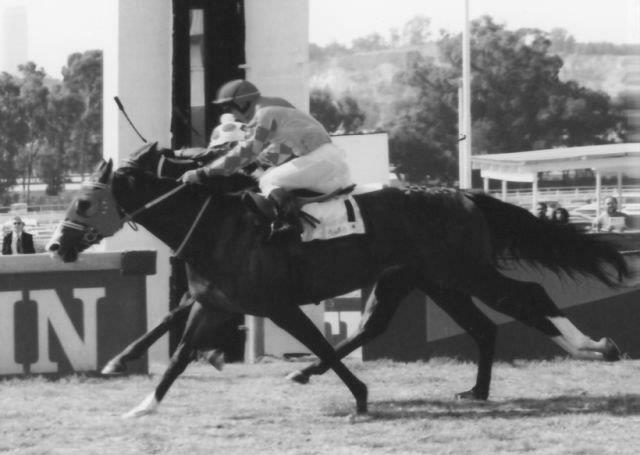 Won the Milkwood Stakes (Listed). 7 wins over 1300 – 2000m. Won Jasmine Hcp (Listed). 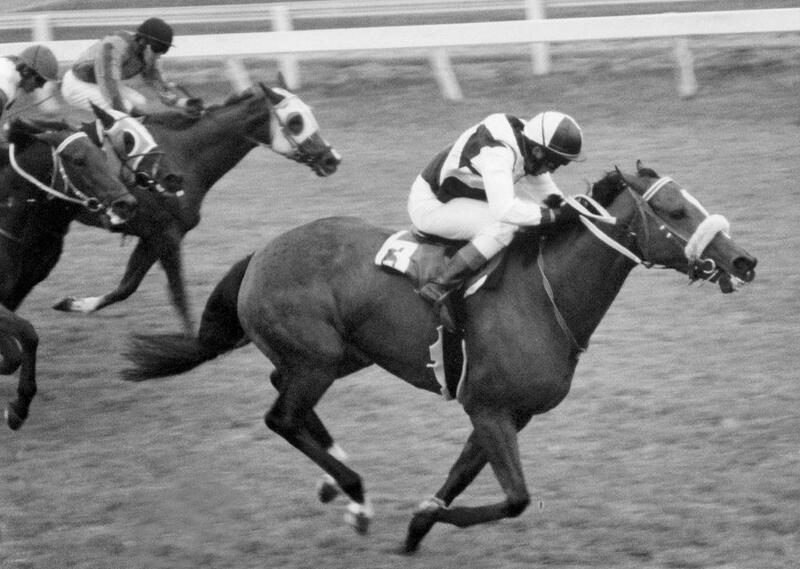 Placed 16 times inc. 3rd Yellowwood Handicap (Listed). 5 Wins over 1200 – 1800. 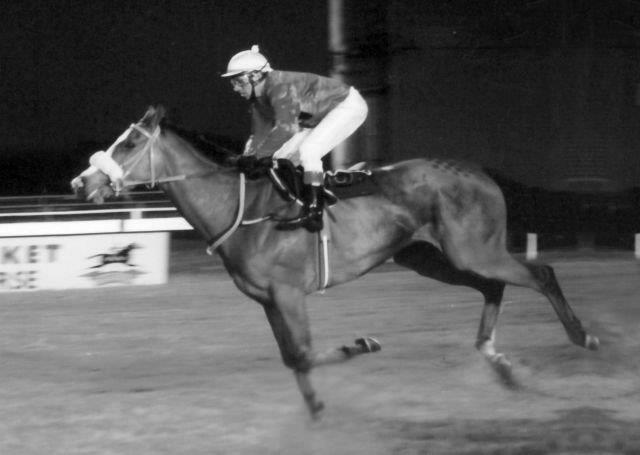 Won Scarlet Lady Handicap (Listed). Placed 2nd Gr1 Garden Province Stakes, 2nd Gr2 Gold Bracelet, 2nd Gr3 Yellowwood Handicap and 3rd Gr3 Jacaranda Handicap. 5 Wins. Placed 2nd Gr2 Post Merchants (twice), 3rd Gr1 Horse Chestnut Stakes, 3rd Gr2 Hawaii Stakes, 3rd Gr2 Senor Santa hcp, 4th Gr2 Drill Hall Stakes. 4 Wins. Placed 2nd Gr2 Final Fling Stakes and 3rd Gr1 Guineas. 3 Wins. 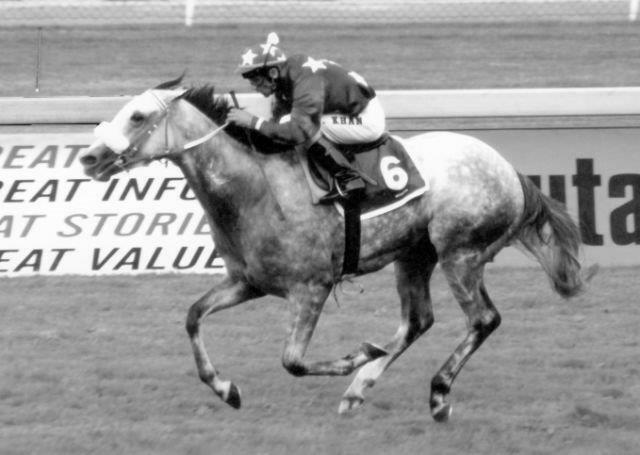 Won The Sledgehammer (Listed), won Politician Stakes (Listed). Placed 2nd Gr3 Winter Guineas, 3rd Darley Arabian (Listed). 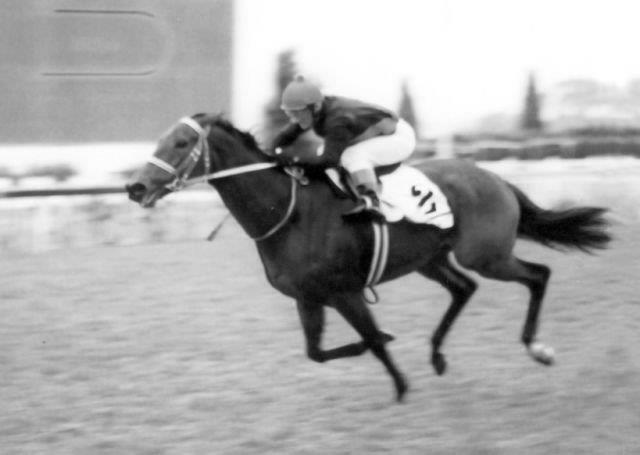 8 Wins over 1200 – 2000m, Placed 3rd Vaal Platinum ’1400′ (Listed); St Andrews Paddock Stakes (Listed). 6 Wins over 1000 – 1200m. 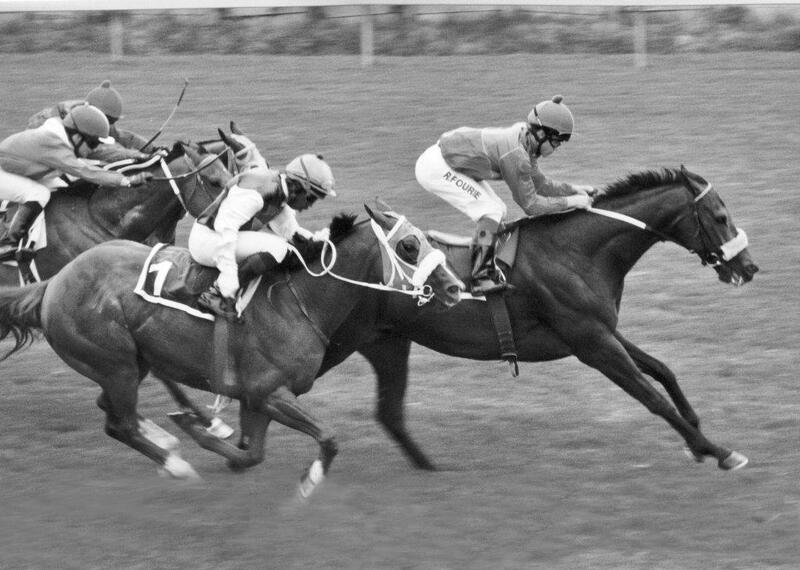 Won Queens Nursery (Listed), won Umgeni Handicap (Listed), Placed 2nd Gr3 Godolphin Barb Stakes; 3rd C T Brand Handicap (Listed).